The Master of Business Administration degree has rapidly gone from being a rarity or a luxury to being a necessity for progressing into the upper levels of management in every industry. For working professionals, an MBA program is generally a good investment – according to the Economist, a manager with an MBA can expect as much as 74% salary increase. According to the Bureau of Labor Statistics, management occupations are growing 6% between 2014 and 2024, which is about average, but the median salary for these jobs is $98,000 – way above average. However, the MBA student just starting out today faces some challenges that grad students of ten years ago may not have had to encounter. Tuition costs have increased far above the rate of inflation, meaning that an MBA program is getting ever more expensive, both in real dollars and relative to the economy. The market has also gotten increasingly competitive since the dark days of the 2008 recession, as more and more young people choose to go straight from undergraduate to MBA programs, and more working adult professionals return to school to improve their credentials and get a better shot at promotion. Fortunately, it’s also the best of times for the MBA in many ways. Increased demand means that more colleges and universities are making efforts to make their MBA programs accessible and affordable, in order to attract and accommodate more students. The best means colleges have is online degree programs, which have rapidly expanded in recent years. Online has become the go-to choice for working professionals who do not want to leave their positions, and for new college grads who find they can earn that ever-important work experience and a degree simultaneously. And with increased demand, the accelerated MBA is sweeping business schools. To get students through the programs and into the work force, or promoted to higher positions, colleges and universities are developing MBA programs that can be completed in as little as 12 or 18 months, as opposed to the traditional 2-year MBA. 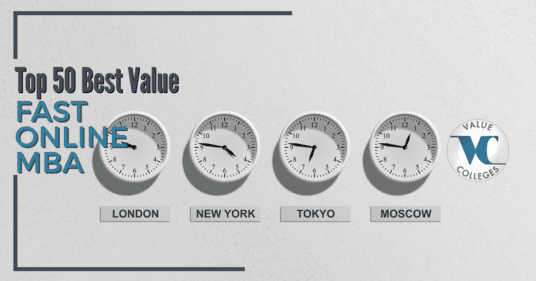 Value Colleges features only regionally-accredited, reputable programs. In addition, almost all of the business schools listed in the Top 50 have accreditations from the AACSB, the ACBSP, or the IACBE (see end of article for explanation of accreditation agencies). Part of the University of South Florida system, USF St. Petersburg is a small, urban university known for their professional degree programs, especially the College of Business. 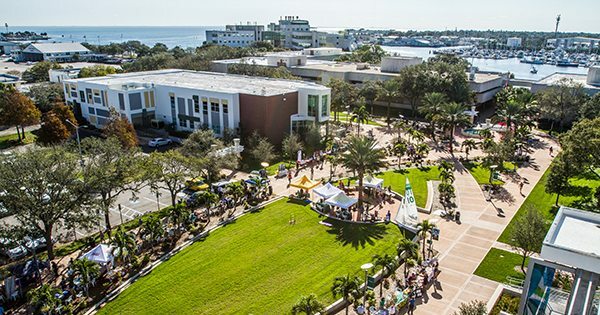 Originally founded as a USF extension campus in 1965, USF St. Petersburg became an independent institution in 2002, after nearly four decades of entrepreneurial growth and innovation. With its small size, USFSP has become known for their excellent mentoring, as students are incorporated into cutting-edge research alongside their faculty. USFSP’s Tiedemann College of Business is well-known throughout the area, with strong connections to the business community of St. Petersburg, one of the largest cities in Florida. The College of Business offers a number of options for obtaining an MBA degree, including a full-time, accelerated program that can be completed in as little as 12 months. As this plan requires an intensive 12 credits per semester, USFSP recommends it only for students who can take time off work, or who do not work full-time. By combining on-campus and online courses, the USFSP MBA is flexible, and at just $20,000 for the full program, it’s a value deserving national attention. 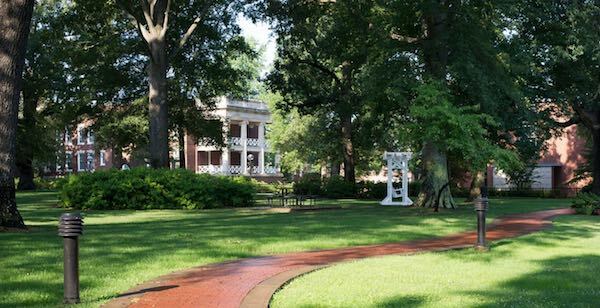 Founded in 1839, Longwood University is one of the oldest public universities in the US. As a small, public liberal arts college, Longwood has been recognized by U.S. News & World Report and The Princeton Review as one of the top regional institutions in the south, and their dedication to academic excellence has helped make them one of the nation’s best values. All students graduate with internship, field research, or other hands-on academic experience, and the close attention and mentorship Longwood provides gives graduates a considerable advantage. Longwood University’s online MBA program has been ranked among the best in Virginia. Offered by the College of Business & Economics, the Longwood online MBA is a 36 credit program that is offered completely online, except for 2 or 3 weekend residencies (depending on full-time or part-time status). Full-time students can complete the program in only 15 months, choosing a specialization in General Business or Real Estate. With courses taught by full-time, experienced faculty, ample student support, and a strong reputation on the job market, the Longwood MBA is a serious value. 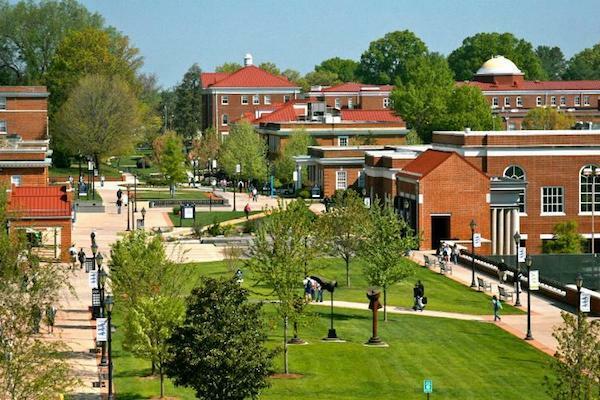 Old Dominion University is one of the foremost names in online education, thanks to their significant foresight and early adoption of electronic distance education. Starting first with satellite delivery in 1994, ODU quickly moved into online education well before other reputable public research universities, making Old Dominion a household name and developing some of the best delivery platforms in the business. The ODU reputation is strong nation-wide, and graduates see that reputation pay off. ODU’s Strome College of Business offers an accelerated, online MBA program designed for speed and flexibility. Ranked among the best programs in its class by U.S. News & World Report and Bloomberg Businessweek, the ODU MBA uses 8-week intensive courses to pack more knowledge than a standard semester. For further marketability, ODU offers four certificates in areas such as Modeling, Simulation, and Visualization, or Business Analytics and Big Data, and the full program can be competed in only 21 months. 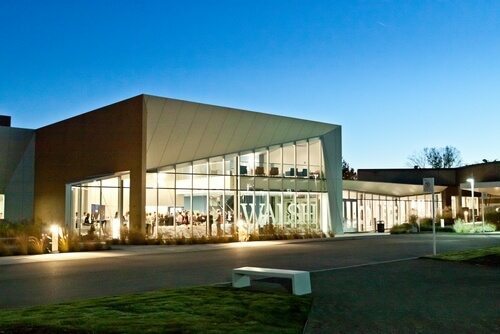 Part of the world-renowned State University of New York system, one of the nation’s most respected public higher education systems, SUNY Oswego is a small but prestigious comprehensive university. Founded as a teacher’s college, SUNY Oswego is still a significant institution for teacher education in New York, but their Graduate School of Business has also been cited by U.S. News & World Report and the Princeton Review as one of the best in the nation. Oswego has also been commended by the Carnegie Foundation for its community engagement, and widely noted as a best value. With recognition as one of the best business schools around, and AACSB accreditation, students can be confident that the SUNY Oswego MBA program will prepare them for their careers. The MBA can be earned both online and on-campus in a 36-credit program that features the same material taught by the same faculty. With asynchronous delivery, Oswego’s online courses can be flexibly scheduled, and full-time students can finish the MBA in as little as one year. 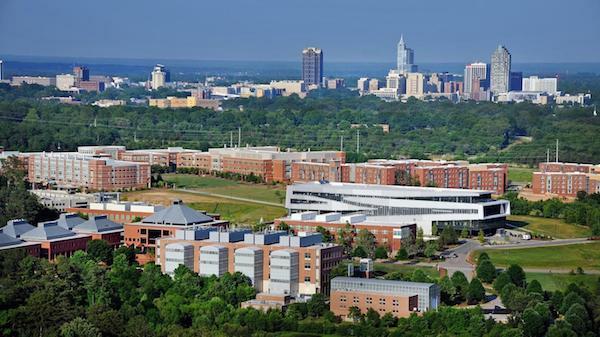 As one corner of the world-famous Research Triangle, North Carolina State University has been central to business and technology in the south, and the US in general, for generations. NCSU pioneered networks between academia, industry, and government through projects such as the Centennial Campus and partnerships with leading technology and corporate entities, including companies like GlaxoSmithKline and government agencies like the U.S. Department of Agriculture. Thanks to its wide-ranging relationships, NCSU has also become a leading business school. The Jenkins Graduate School of Management, part of the Poole College of Management, is one of the most recognized institutions of its kind in the region. NCSU offers the Jenkins MBA, an AACSB-accredited online or on-campus program designed for working professionals. Courses are presented asynchronously, with a variety of methods, and NCSU’s reputable faculty prioritize availability and engagement. Aside from two short on-campus residencies, the whole degree can be earned fully online in as little as 21 months. UD’s Lerner College of Business and Economics has been recognized by Bloomberg Businessweek among the best business schools in the nation. The Lerner College offers a 100% online MBA degree program designed to get professionals to the next level of their careers quickly. With intensive 7-week courses, students can complete their degree in only 16 months, and three concentrations – Finance, Healthcare, and International Business – allow students to specialize in some of the strongest growth areas in the field. A small, public institution, Shippensburg University has long been recognized by U.S. News & World Report as one of the top regional colleges in the north, known for high educational quality and strong student support. Founded as a normal school, Shippensburg still puts a premium on teacher education, but the Grove College of Business has made a respected name for themselves since their start in 1971. 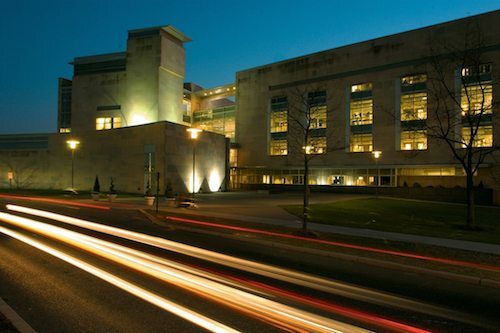 They are one of the best-known and most trusted business schools in Pennsylvania, and the first public business school in the state to attain AACSB accreditation. Shippensburg University has also become known nation-wide for their excellent online programs, including the Ship MBA Online, ranked by U.S. News & World Report as one of the best of its kind. This fully online degree program is taught in 8-week accelerated courses, with a range of delivery modes, including both asynchronous and synchronous components. For students who can take on a full-time load, the full degree can be completed in only 18 months, and Shippensburg has one of the most affordable tuition rates in the northeast to make for a solid value. One of Texas’s greatest assets is its network of top-tier public universities, with quality to match the public systems of California and New York and meet the needs of the huge state’s growing population. 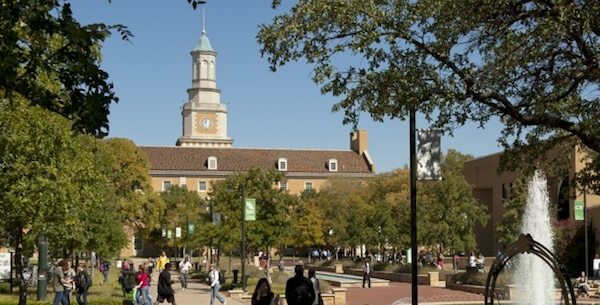 The University of North Texas, a large, public research university in the Dallas-Ft. Worth suburb of Denton, demonstrates what Texas can do with higher education. UNT has been on the rise for the last decade, coming up in rankings and providing students access to the booming job market and economy of Dallas. UNT offers a fully online, accelerated MBA program that dedicated students can finish in as little as 14 months. UNT’s 36 credit program is set in 8-week courses for flexibility, with frequent start dates for students to work around their own professional schedules. Recognized by U.S. News & World Report as one of the best online MBAs in the nation, UNT’s online MBA also includes two optional specializations: Strategic Management, or Organizational Behavior and Human Resource Management. Norwich University is famed as the first senior military college in the US (founded in 1819) and the birthplace of the ROTC, but it has also become known in recent years for its strong online presence. Like its fellow senior military colleges, Norwich’s reputation for academic rigor and value is well-earned, and their pioneering work combining classroom education and real-world experiential learning has influenced other colleges for generations. Norwich has a clear commitment to education for working adults, as Norwich University Online demonstrates. Norwich’s online MBA has been acclaimed by U.S. News & World Report as one of the best, and Norwich combines the flexibility of shorter 11-week courses, four start times, and self-paced learning with six concentrations, including project management, energy management, and organizational leadership. Students can complete the degree in only 18 months, plus a one-week on-campus residency. East Carolina University, a large, public research institution in the respected University of North Carolina system, is best known in the region for its teaching, health care, and nursing programs, which educate the most teachers and nurses in the state. But as a regional university, ECU’s main mission has always been to provide educational opportunity to as many people as possible, and to create leaders for North Carolina’s Down East region, and the ECU College of Business has been helping fill that role with the quality of the UNC system. ECU is also becoming renowned as a top-tier online educator, using the opportunity online delivery offers to help reach more students than ever. That includes the ECU MBA, which can be earned on-campus or completely online. The program is built for both those who studied business as undergraduates and those who did not, though students with a business bachelor’s degree have a distinct advantage, as they need only 33 credit hours to complete the program in as little as 18 months. Originally founded as a teacher’s college, Emporia State University is proud of its status as the first public university in the state, spreading learning across the region even in the middle of the devastating Civil War. Today, ESU continues to bring educational opportunity to the people of Kansas, especially focusing on professional, technical, and research programs dedicated to leading Kansas in progress and development. ESU has found online education an excellent means to fulfill its mission, and built some of the strongest online programs in the region, including the Emporia State MBA. This AACSB-accredited program combines excellent faculty and the most current knowledge and research with the flexibility and ease of online education. Students are prepared for both non-profit and private industry, and the program is designed to get new leaders into the field quickly, in just 18 months. As a small, public institution in the city of Fitchburg, MA, Fitchburg State University’s education is focused primarily on practical professional and technical learning, especially in business, nursing, and computer science. As fits a small manufacturing city built on paper mills and a rail line, Fitchburg State emphasizes experiential learning, internships, and the close faculty guidance a small institution can provide. Fitchburg State offers an excellent, well-designed online MBA program designed to give online students the most realistic and practical experience possible. Developed on a cohort format, students work together as a team throughout the program, but asynchronous courses allow for flexibility. Through accelerated 7-week terms and a clearly established course sequence, students can complete the program in only 17 months. With well over 50,000 students, the University of Florida is one of the largest public universities in the US, and one of the most respected, ranked by U.S. News & World Report in the top 15 nation-wide. Many of UF’s individual schools and colleges are considered among the best in the nation, especially the Hough Graduate School of Business, part of the Warrington College of Business. With the reputation of both its undergraduate and graduate programs, UF is a business leader in the south and beyond. UF offers an exceptionally convenient Online MBA: One Year program for students who already have an undergraduate degree in business. Since basic business courses have been covered, students in the one-year MBA complete only 32 credits, rather than the traditional 48 credits. Any student who earned a bachelor’s degree in the last 7 years is eligible. With a cohort format and periodic weekend residencies, students in the University of Florida Online MBA get the benefits of on-campus networking and community-building with the convenience of online coursework. 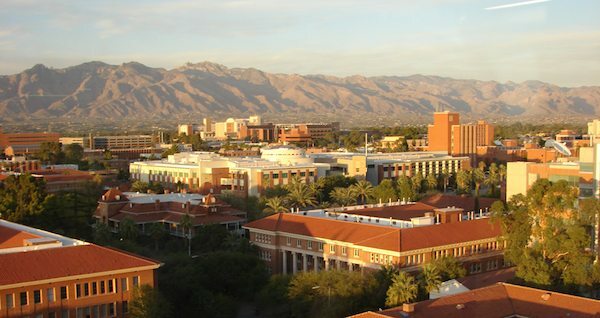 One of the most productive and esteemed research universities in the US, the University of Arizona was founded as a land-grant institution and the first public university in what was then a territory. While the UA is most acclaimed for the sciences – ranked in the top 25 research institutions by the National Science Foundation – the Eller College of Management is also one of the most respected in the west, noted for entrepreneurship, technology, and opportunities for Hispanic students. The Eller MBA is one of U.S. News & World Report’s top 50 MBA programs, and the Online MBA gives students access to this top-tier program with all that online education has to offer. Accelerated courses starting every 8 weeks allow students to earn 45 credits in as little as 14 months, and UA offers six concentrations in some of the most in-demand areas on the job market, including Health Care, Finance, and Management Information Systems. The University of Colorado Colorado Springs is an institution on the rise, the fastest-growing branch of the CU system. Ranked as one of the top regional universities in the west by U.S. News & World Report, UCCS is becoming nationally known and highly respected, especially for their professional and technical programs. UCCS has especially gained attention for their online degree programs, which now make up nearly half their student body. UCCS helped pioneer online graduate education, offering the first AACSB-accredited online MBA program anywhere back in 1996, when most universities were still figuring out email. Today, UCCS’s online MBA is one of the most reputable in the nation, recognized by U.S. News as one of the best in its field, as well as racking up recognition as a military-friendly program. Students can choose from eight specializations, including Finance, Health Care Administration, and Innovation Management, and with their accelerated courses, students can complete their degree in only 18 months. 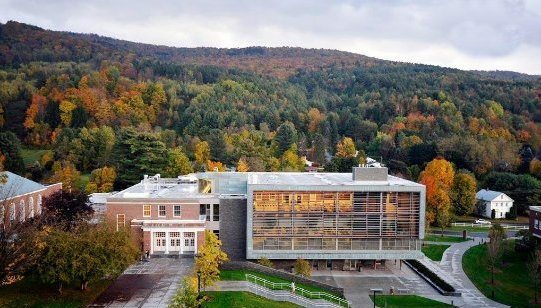 Founded as a technology school in 1896, and named for entrepreneur and philanthropist Thomas Clarkson, Clarkson University has spent over a century on the forefront of scientific research, engineering, computing, and business. A small college dedicated to practical learning and educational excellence, Clarkson is widely recognized as a top value for the region, with acclaim from U.S. News & World Report as a best online educator, and from Payscale for the high salaries and ROI their graduates earn. Clarkson offers one of the best online MBA degree programs in the nation, building their online program through an innovative, interactive “click and brick” delivery that allows online and on-campus students to collaborate, develop relationships, and practice real-world business skills. Along with a short 2-day on-campus residency, online students take two courses a quarter, allowing them to complete the degree in less than two years. One of the most prestigious public institutions in the world, the University of North Carolina has led public higher education, medical research, and scientific innovation for over two centuries. As part of the Research Triangle, UNC helped set the model for the kind of academic, industry, and government cooperation that defines higher education today, and built the Kenan-Flagler Business School into one of the most influential and most renowned in the US. UNC’s Kenan-Flagler Business School offers a top-tier online MBA degree that carries all the excellence and reputation of UNC. Courses are kept small, and students build connections with each other and their instructors through real-time, interactive classes. Students can complete the 66-credit program in only 18 months full-time. With some of the world’s most elite faculty, a wide network of alumni and corporate partners, and job market reputability, the [email protected] is as close as it comes to a sure thing. 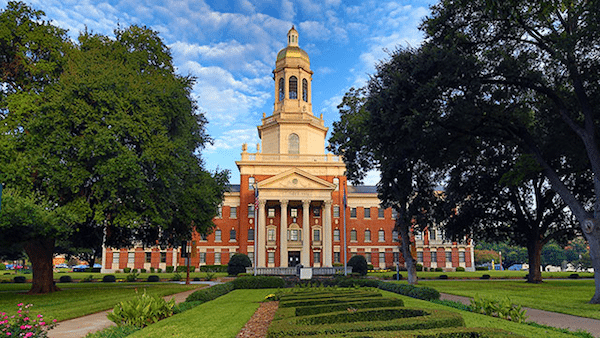 Founded in 1845, Baylor University is the oldest Texas university still in operation, and one of the leading private Baptist institutions in the nation. Ranked by U.S. News & World Report in the top 75 nation-wide, and by the Princeton Review as a best university in the western region, Baylor is known for its commitment to biblical values, ethics, and educational rigor, especially in their business programs, which are ranked among the best in the region. Baylor offers a top-ranked online MBA program designed for speed and value, especially for students who already have a business undergraduate degree; for those students, the MBA is only 48 credit hours, rather than the 60-credit full program, and can be completed in only one year. Baylor’s highly-regarded business faculty emphasizes accessibility and mentoring, and their deep business connections – especially the Baylor Business Network, a wide-ranging body of alumni and partners – ensures that Baylor will keep up their 96% employment rate for graduates. As Colorado’s land-grant institution, Colorado State University was built on practical learning and research, and that remains at the heart of CSU’s mission today, as well as a commitment to making their excellent opportunities available to as many students as possible. To meet that commitment, CSU has developed a respectable slate of online degree programs that have been recognized for quality and value, keeping CSU’s strong U.S. News & World Report reputation going. Colorado State has brought their full powers to their online Professional MBA program, a flexible, challenging program designed for working professionals who want to increase their credentials and move into higher positions. Centered on experiential and practical learning, the online MBA is built on skills students can put into immediate practice, and more than 80% of graduates report a significant increase in their salaries after completing the program. Arizona State University’s incredible rise in the 21st century has been attributed to their entrepreneurial spirit and innovative risk-taking, as well as their commitment to opening rather than narrowing their admissions. That boldness has made them the largest university in the US and a model for the contemporary university, qualities that also drive the W.P. Carey School of Business, the largest in the nation and one of the most influential of the day. Recognized by U.S. News & World Report as one of the top graduate schools in the nation, the Carey School offers an online MBA designed for working adults and professionals to complete their degree without giving up their current positions. Emphasizing leadership, problem-solving, and ethical practices, the ASU online MBA is one of the best values anywhere, with the same tuition rate regardless of residency. Named for Bishop Emmett Walsh, the prominent church leader who spearheaded the establishment of the school, Walsh University is a highly regarded, small Catholic institution in Ohio. Originally a liberal arts college, Walsh has become known for their professional programs, especially in health care, including nursing, occupational therapy, and physical therapy. A commitment to community service, social good, and moral and ethical values informs everything Walsh does, in keeping with its Brothers of Christian Instruction roots. Walsh is especially concerned with sending ethical, service-oriented leaders into the world, and their online MBA program is a major part of that effort. As a small university, Walsh provides students with strong guidance and mentoring, even online, and small class sizes emphasize community and cooperation. Students can choose from four specializations, including healthcare management and entrepreneurship, and the program can be completed in as little as one year. As part of the University of North Carolina system, Fayetteville State University is the second-oldest public institution in North Carolina and a highly-regarded, historically black university. Primarily known for traditional liberal arts, professional, and technical education, FSU has been influential in social mobility, giving minority students access to leadership positions in a variety of fields. FSU is well-known for their commitment to making quality education as accessible and affordable as possible, which has made them a perennial best value. FSU offers a fully online MBA degree that has been recognized as one of the best graduate programs in the nation by U.S. News & World Report. Designed for working adults and professionals who are looking to advance or change careers, the FSU MBA is exceptionally flexible and oriented toward practical application. At only $165 per credit, it’s also one of the most affordable AACSB-accredited MBA degrees anywhere, making it a clear value. Part of the Texas A&M University system, a nationally-recognized network of public institutions, Texas A&M University-Corpus Christi was once a Baptist college, but since becoming part of the TAMU system has grown into a highly respected research and teaching university. From its unique location on an island in the Gulf of Mexico, TAMU-Corpus Christi emphasizes diversity and inclusion, providing opportunity to underserved populations in Texas and the Gulf Coast region. In keeping with its mission, the TAMU-Corpus Christi online MBA program emphasizes leadership, teamwork, diversity, and social responsibility. For students who already have a business undergraduate degree, the program is only 10 courses, 30 credit hours, and can be completed in only 12 months. Intensive 7-week courses keep the program moving quickly, and a focus on practical skills helps working professionals put what they learn directly into use. A small, private Catholic institution, the University of St. Francis is founded on Franciscan values, including educational rigor and a deeply devout religious spirit. Service leadership is at the heart of the University of St. Francis’ learning, with students engaging not only in their degree programs, but in community service. The University of St. Francis is recognized in the national top tier by U.S. News & World Report, and as a best regional institution in the midwest by the Princeton Review. The University of St. Francis offers a highly-ranked MBA program that is available both on-campus and online for working adults to schedule around their professional commitments. Students can choose from 8 concentrations, including highly marketable fields such as Analytics, Logistics, and Health Administration. The program can be completed in only 12 or 18 months, depending on the student’s educational background. 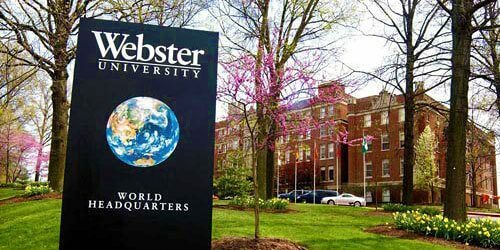 A century old, Webster University began as a Catholic women’s college and stands today as a model for mid-sized private colleges in the 21st century, cited for excellence by U.S. News & World Report. Webster has become known for its dedication to global learning and cooperation, and brings its tradition of inclusion and diversity into the modern age with an international student body, study abroad, and a world-wide focus brought to every course and subject. Webster offers a highly-regarded MBA program that makes close personal attention, global views, and practical application the priority. Students can choose from many specializations, from Decision Support Systems to Web Services, and their online degree program is designed for working adults to earn this critical credential without uprooting their lives. With Webster’s international aspirations, and short time to completion, graduates can be sure their degree will take them places, fast. Ranked in the top tier of regional public universities in the south, the University of North Alabama has a significant influence on life in the region, from professional and technical programs to arts and culture. UNA is especially known for their Department of Entertainment Industry, the first of its kind in the US, drawing from and contributing to the internationally-known music scene in and around Muscle Shoals. UNA’s efforts in online education have also become known at a national level, especially the UNA MBA, offered by the highly-regarded College of Business. There are a ten concentrations available, including Information Systems, International Business, and Health Care Management, as well as Executive and self-designed options. UNA’s accelerated courses allow students to complete the degree in only one year, and at UNA’s low tuition rate, it’s a value that few other schools in the south can match. 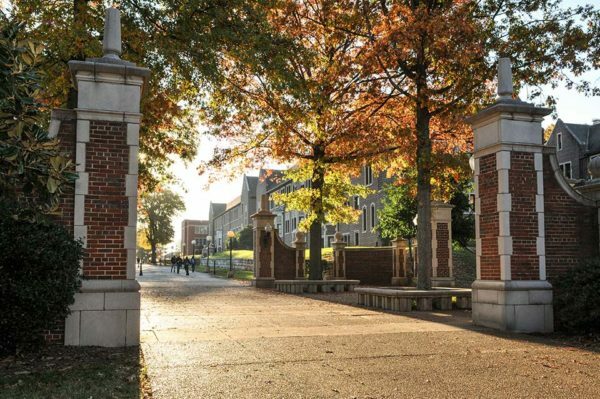 A mid-sized regional institution, the University of Tennessee-Chattanooga is an urban campus that has grown in influence and significance alongside the city of Chattanooga, one of the most promising up-and-coming metropolitan areas in the nation. Strong connections to the city’s industry and business have made the College of Business one of the best in the south, with a growing reputation for diversity, service, and excellence. Chattanooga offers a Professional Masters of Business Administration degree program fully online, with no on-campus residencies necessary. The PMBA is designed for experienced professionals, and offers two concentrations: the traditional PMBA, or a Business Analytics specialization, one of the most in-demand fields today. UTC keeps tuition rates low, and with their accelerated courses, students can finish in only 16 months. Andrews University, the flagship of the Seventh-Day Adventist school system, is known for its commitment to faith and service. In keeping with Seventh-Day Adventist belief, Andrews is committed to cultural diversity, wellness, and holistic learning, encompassing spirit, mind, and body. The Andrews way is to combine practical learning and skills with faith and service to make Christian leaders who will go out into the world and act. Andrews offers a fully online MBA program from the School of Business Administration. The SBA emphasizes scholarship and academic rigor, and designs courses around both practical, real-world usage, and adherence to Christian faith and values. With small classes and interactive opportunities, the online MBA helps students develop interpersonal relationships. The program is made up of 11 online courses and one 3-week intensive residency, and can be completed in only 12 months. Frostburg State University, a small, public teaching university in Maryland’s Appalachian Mountains, is part of the University System of Maryland. 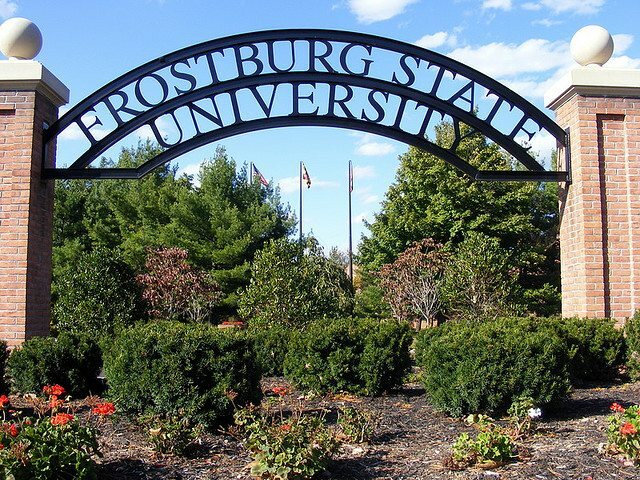 Formerly a normal school, Frostburg State has grown into a key educational institution for the region, as well as taking a significant leadership role in the community around Frostburg and the mountain region. Frostburg’s College of Business is taking a significant place in preparing innovators and entrepreneurs to lead the way into the future. Frostburg State’s College of Business offers an online MBA program designed for working professionals and recent college graduates, business majors and non-majors alike. For experienced professionals, and those with a business bachelor’s, Frostburg’s MBA may be as little as 36 credit hours and possible to complete in only 12 months. With AACSB accreditation and a growing reputation, Frostburg State is an investment worth attention. Northwest Nazarene University, a small, private liberal arts college supported by the Church of the Nazarene Christian denomination, has been recognized by U.S. News & World Report and the Princeton Review as a top college for the west. In a state with many wide-spread rural communities, NNU has put much emphasis on growing their online presence, and today online students outnumber on-campus students by nearly three times. One such program is the NNU MBA, which students can earn completely online, or at NNU’s Nampa and Boise campuses. The MBA is designed for speed, however, with 8-week courses allowing students to complete the degree in only 16 months (18 months for the Accounting specialization). Northwest Nazarene keeps tuition low, making it an affordable investment for students looking for an online degree in the west. The University System of Georgia is one of the nation’s largest and most prestigious, the home of 28 public colleges, including globally-respected universities like the University of Georgia and Georgia Tech. Six of those institutions – Columbus State University, Georgia College, Georgia Southern University, Kennesaw State University, the University of West Georgia, and Valdosta State University – have come together to collectively offer a fully online MBA program that ranks with the best. The Georgia WebMBA is a 10-course program designed for experienced professionals with at least two years employment and a bachelor’s degree. Taking two courses at a time, students can complete the program in only 18 months working continuously. Besides a single 2-day orientation session in Atlanta, the entire program is online, and students may transfer up to 6 credits from another graduate program to make the process even quicker. 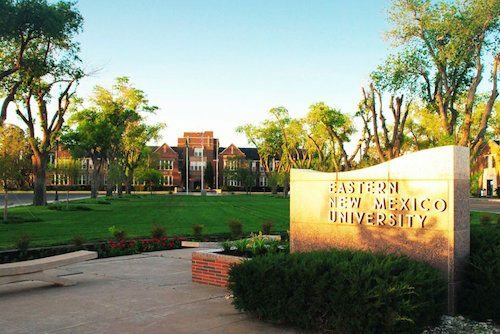 The youngest public college in New Mexico, Eastern New Mexico University was founded as a normal school in 1934, growing to a community college, liberal arts college, and finally a full university in its own right. ENMU is now New Mexico’s largest regional institution, and a designated Hispanic-Serving Institution. Their main focus is on professional and technical programs, helping prepare leaders for New Mexico’s future. ENMU offers a accredited MBA program that can be earned completely online, through video conference-style delivery and recorded lectures. The ENMU MBA is a general management program, focused on managerial skills that can be applied across a range of fields. As a public institution, ENMU keeps tuition costs extremely low, and online students pay the same rate regardless of residency; that affordability, along with a 12-month completion time, makes Eastern New Mexico University a solid value. Louisiana’s flagship university, and the only major public research institution in the state, Louisiana State University is central to Louisiana’s learning and culture, from business and law to engineering and the arts. The Ourso College of Business is especially respected, nationally and regionally, with high rankings from a variety of outlets, including U.S. News & World Report. In recent years, LSU has put a new priority on online education, building their offerings and rising in reputation. 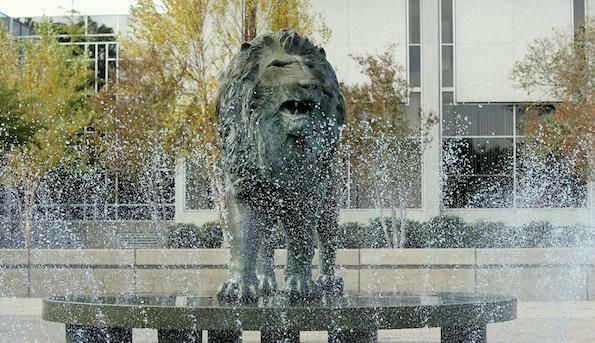 One of LSU’s most acclaimed online programs is the Flores MBA, one of U.S. News & World Report’s top 75 national MBAs. Designed for 14 prescribed courses, the Flores MBA curriculum is delivered in accelerated 7-week terms, allowing working adults to fit their coursework comfortably into their own schedules and complete the program in only 18 months. It’s one of the top AACSB-accredited programs in the south, and a clear best value. A small, private liberal arts institution, Western New England University has self-motivation and bootstrap entrepreneurship built into its DNA; originally a branch of Northeastern University, WNEU began in a YMCA in 1919 to provide part-time education to aspiring business professionals, lawyers, and accountants. That spirit still drives Western New England, which attracts ambitious, dedicated students who want the support of a small student body and faculty. One of the strongest MBA programs in New England, WNEU’s online MBA provides students with the fullest view of business theory, practice, and skills. The WNEU MBA is made up of 12 courses, which can be taken fully online, though online students can also attend on-campus classes for added guidance or networking. With two concentrations – Accounting or Leadership – and short, 11-week courses, students can complete New England’s most affordable accredited MBA in only 18 months. One of the founding institutions of the University System of New Hampshire, Plymouth State University has put teaching and service at its center since its 1871 founding. Plymouth State emphasizes educational innovation, doing away with traditional colleges and schools for interdisciplinary clusters that allow faculty and students more creative interaction. The Carnegie Foundation has also recognized PSU for their excellent community engagement. Plymouth State’s strong regional reputation and commitment to excellence informs their online MBA program as well. The Plymouth State online MBA balances practical skills with intellectual exploration and curiosity to create an MBA program designed to send thoughtful and innovative leaders into the business world. PSU has one of the lowest tuition rates in the region, and the online MBA can be completed in only 12 months of full-time coursework. Saint Leo University is the oldest Catholic college in Florida, founded in 1889 by Benedictine monks, but that is only part of the story. Saint Leo was one of the first institutions to offer distance education for the military, beginning with a partnership to provide education on bases during the Vietnam conflict in 1973, and they remain one of the largest military educators. That experience in distance education led Saint Leo to start one of the first online schools in 1998. Saint Leo’s Center for Online Learning provides access to a variety of online degree programs, including the online 1-year MBA track. By taking two 8-week courses at a time, over 6 accelerated terms, students can earn 36 credits in only 12 months. The program is designed for flexibility to help working professionals, especially those who travel for work, to complete their degree with no disruption to their career. Fort Hays State University has met the needs of northwest Kansas since its founding in 1902. The university evolved to provide affordable, high quality, HLC Accredited, online education to anyone in the world and now serves nearly 6,700 students per semester online and another 4,400 on campus. The FHSU online MBA is one of the most innovative programs in the region, using streaming video and other interactive means to bring on-campus and online students together. Working professionals can apply their learning directly to their current jobs, and eleven concentrations allow students to tailor their MBA to their current or preferred career path. The 34-credit hour program can be completed in 18 months. 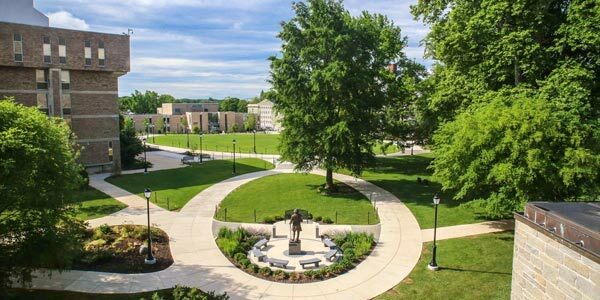 One of the top regional institutions in the north, according to U.S. News & World Report, Rowan University has grown from a small teacher’s college to a large, highly respected university in its century-long history. Rowan focuses particularly on professional education, with field-specific accreditation in business, education, engineering, and medicine, including the AACSB-accredited Rohrer College of Business. The Rowan MBA has working professionals in mind, with 12 courses designed in an accelerated, 8-week format. With two courses per term, scheduled in six terms, students can finish in only 18 months. It’s a highly rigorous program that prepares students for managerial positions in a variety of fields, from private industry to government and non-profit, and Rowan’s emphasis on critical thinking and problem-solving give students a strong foundation for transferring to any business field. Guided by the values of the De La Salle Christian Brothers, a monastic order centered on education, Saint Mary’s University of Minnesota is noted as one of the top regional institutions in the Midwest by U.S. News & World Report and the Princeton Review. Beginning in the 1970s, Saint Mary’s has gradually grown to emphasize adult and professional education, growing the Schools of Graduate and Professional Programs into one the largest adult education institutions in the state. Saint Mary’s commitment to adult education has driven them to build some of Minnesota’s most acclaimed online degree programs, including the Accelerated Online MBA. The Saint Mary’s online MBA offers not only a general track, but also concentrations in some of the job market’s most in-demand specializations – Data Analytics, Social Media Management & Marketing, and Sustainability and Environmental Management. Saint Mary’s online MBA can be completed in only 18 months, and combines an affordable price with a strong reputation. 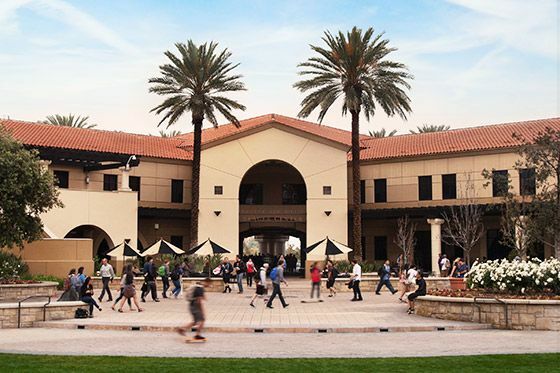 One of the most prominent Baptist institutions in the nation, California Baptist University is also recognized as one of the top regional institutions in the west by U.S. News & World Report. As an explicitly evangelical university, CBU puts Christian faith and biblical values at the heart of all its endeavors, and all faculty and staff are committed Christians. With that foundation, CBU is dedicated to preparing students for the 21st century with career-focused, technologically up-to-date instruction. CBU has become known for their online programs in recent years, especially the Fully Employed Masters of Business Administration, an online business degree explicitly formulated for the needs of working business professionals. Combining leadership and technical skills, the online MBA is a 36 credit program that can be completed in only one year. An affordable tuition rate just makes the CBU MBA that much more of a value. Park University was founded as a bold educational experiment in 1875; students received free instruction in exchange for working for the school, combining real-world experiential learning and classroom education. Today, Park has made their name with online education, as well as building a reputation as one of the most military-friendly institutions in the nation, with online programs and campuses on military bases throughout the US. Park has also been recognized by U.S. News & World Report as the most affordable private college in the Midwest. Park University offers an accelerated online MBA degree program that is designed for working professionals. Instruction emphasizes real-world case studies, realistic team projects, and applicable skills that professionals can take into their jobs. The Park MBA offers 7 concentrations, including Human Resource Management, Management Information Systems, and Project Management. With eight-week courses, students can complete the degree in only 15 months. Ranked the most politically active campus in the nation by the Princeton Review, American University is the place to go for students looking for a future in politics, government, lobbying, and everything else that makes life in the Beltway go around. Chartered by Congress in 1892, American University is highly selective, competitive, and rigorous, but the rewards are many and significant, especially from the Kogod School of Business, one of the best in the nation. The Kogod School at American University offers a One Year MBA degree program that stands alone as the only online program in Washington, DC that is AACSB-accredited and can be completed in just 12 months. It’s a highly challenging program that offers an intensive, interactive experience. Unlike other accelerated programs, students do not have to be working professionals, or even have a business bachelor’s degree, though both are recommended. All you need is drive, talent, and an internet connection. A small, regional institution in the University of Texas system, UT Tyler is making waves as one of the fastest-growing universities in the state. Students are coming to Tyler’s acclaimed professional and technical programs, such as nursing, computer science, and business, and Tyler is quickly becoming one of the key sites for growing leadership in the Gulf Coast region. The College of Business and Technology is a major part of that effort. UT Tyler offers an accelerated online MBA degree program that is raising the CBT’s profile tremendously. The online MBA offers four concentrations: General, Healthcare Management, Marketing, and Cyber Security. Students do not need to have business bachelor’s degrees, and as a non-thesis program, the accelerated MBA is focused on useful skills and real-world application more than academic research. With 7-week terms, the 36-credit program can be finished in only one year. Part of the Pennsylvania State System of Higher Education, West Chester University is a mid-sized institution ranked as a top regional university in the North by U.S. News & World Report. As a public institution, West Chester’s mission is to provide educational opportunity across Pennsylvania, in everything from the humanities and liberal arts to professional and technical fields like law, medicine, and nursing. West Chester offers a fully online MBA program that can be completed in less than a year of full-time coursework. The West Chester MBA has been recognized by U.S. News & World Report as one of the best online MBA’s in the nation, as well as one of the most affordable. Out-of-state residents pay only a little more than the reasonable in-state tuition ($30 more per credit, to be exact), making West Chester’s online MBA a deal anywhere in the world. 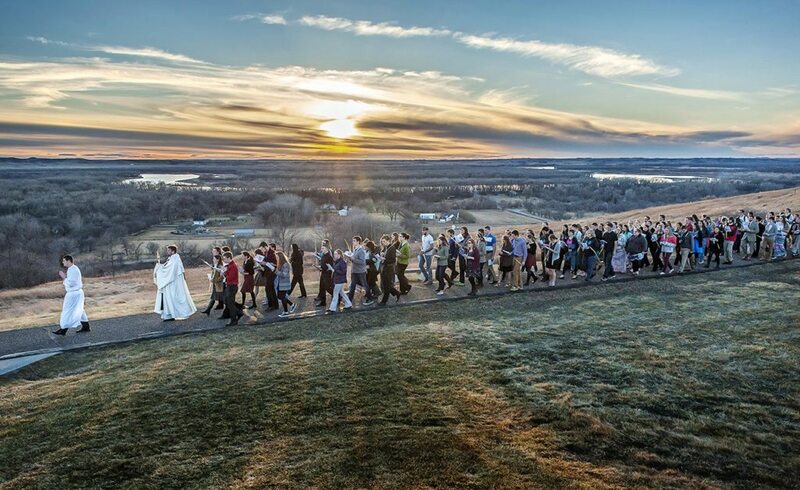 Founded in 1959 by Benedictine nuns, the University of Mary, a small, private Catholic institution, is one of the most respected universities in North Dakota. Unlike many other Catholic colleges, which emphasize traditional liberal arts, the University of Mary has made themselves indispensable to the region by focusing on professional and technical disciplines like nursing, education, and business, infusing leadership with Benedictine values like service, honesty, and hard work. Mary offers a fully online MBA program that has been highly ranked as a trusted investment. The University of Mary MBA includes 8 optional concentrations, including unusual and in-demand choices like Energy Management, Healthcare Informatics, and Public Administration. Accelerated, 5-week courses make the process flexible and fast, so students can complete the program in only 20 months, and at $15,000 in total Mary is one of the best values in Catholic education. Harding University is a small, private Churches of Christ-affiliated liberal arts institution in Arkansas. 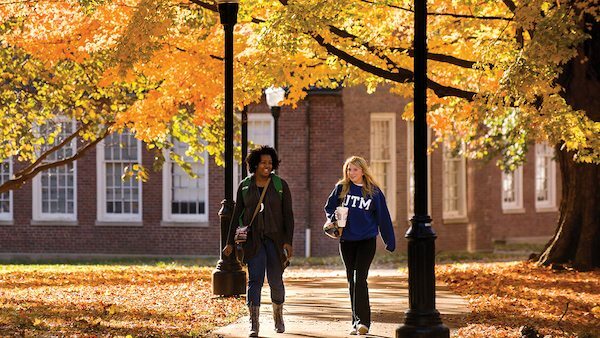 U.S. News & World Report ranks Harding as one of the top 25 regional universities in the south, and recognition from the Princeton Review underscores Harding’s reputation in the region. As a religious school, Harding University puts its Christian mission at the center of learning, including bible study, chapel services, and missions. Harding offers a fully online accelerated MBA degree program designed for full-time students to finish in only 12 months. 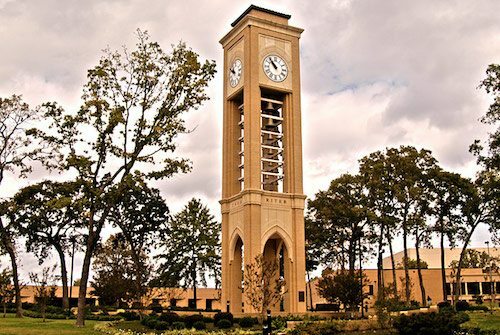 Harding’s MBA program is uniquely and explicitly faith-based, tied directly to Christian values, morals, and ethics. The accelerated online program is 36 credits and allows students to choose from one of three concentrations: Health Care Management, International Business, or Leadership & Organizational Management. A small, comprehensive public institution, Jacksonville State University is a learning-centered school with an emphasis on professional and technical fields, especially nursing, education, and business. 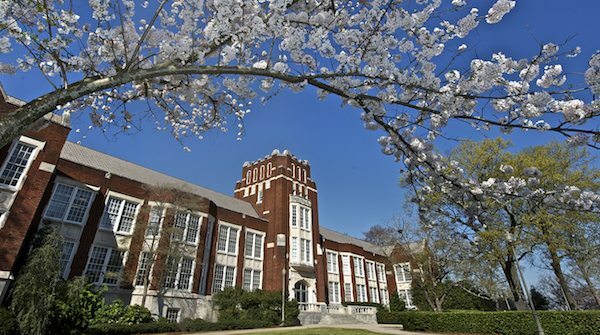 Originally a normal school, JSU has been serving the people of northern Alabama from its home in the Appalachian foothills for a century and a half, always keeping with the times, including a dedication to online learning in the 21st century. JSU offers an online MBA degree program from the College of Commerce and Business, an AACSB-accredited business school that has been cited as one of the best in the south by the Princeton Review, as well as acclaimed for its opportunities for women and minorities. For students who already have a bachelor’s degree, only 30 credit hours are necessary for the General MB, and they can complete the program in only 18 months. The University of Tennessee at Martin is a comprehensive public university in western Tennessee, founded in 1927 when a local Baptist school closed. As a rural institution, UT Martin has found its niche in professional and technical education, growing from a teaching and agriculture-centered college to encompass nursing, engineering, computing, and business – the fields necessary for the public good of the region. UT Martin offers an Online MBA for Financial Services Professionals, focused on banking and finance studies for students already working in the field, or recent graduates interested in a finance career. Ranked in the top 20 nationally, the online MBA is delivered in a cohort format, with 20 students working through the 20 month program together, providing each other with support and networking opportunities. An affordable rate and short time to completion make UT Martin’s online MBA a solid investment. Benedictine University is a small Catholic institution in the Chicago suburb of Lisle. Founded in 1887 by the Benedictine monks of St. Procopius Abbey, Benedictine University has kept Catholic faith and doctrine at the center of their learning, while also embracing innovative teaching and technology. Benedictine was an early adopter of online education, and today is one of the most respected online educators in the Midwest. Benedictine offers a fully online, accelerated MBA that focuses on decision-making, critical thinking, and ethical leadership. 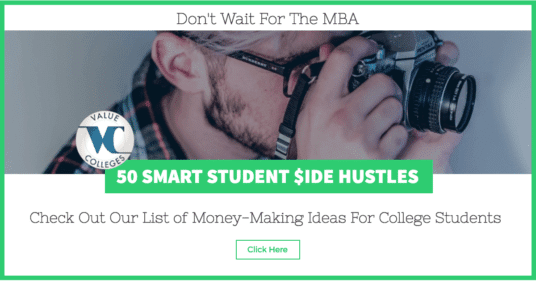 Seven concentrations are available, including Internet Marketing, International Business, and Entrepreneurship & Managing Innovation, key realms for 21st century business. By taking two courses per term, students can complete the MBA in only one year. As a major, public research institution in one of the largest cities in the nation, the University of Illinois at Chicago is a model of what an urban university can accomplish. UIC has one of the world’s foremost medical schools, influential engineering and computing programs, and one of the top business schools in the nation, including the Liautaud Graduate School. 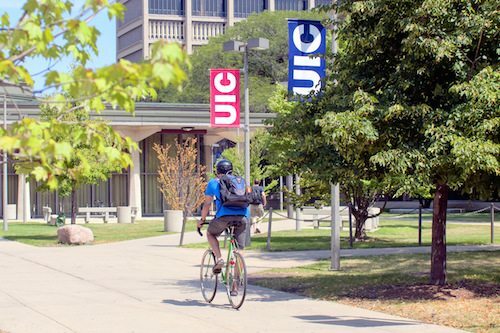 With its home in the nation’s 3rd biggest economy, UIC is a prime spot for business students. UIC’s Liautaud Flexible MBA can be earned completely online, in as little as 18 months. The accelerated MBA program is designed for both students who have a business undergraduate degree, and those who do not; approximately half the student body come from a non-business background. At least 2 years of work experience is preferred, however, and 5 years is the average for MBA students. The Association to Advance Collegiate Schools of Business (AACSB) is the most prestigious, and membership in the AACSB is often a requirement for hiring to a business school faculty. The Accreditation Council for Business Schools and Programs (ACBSP) is more focused on teaching quality, whereas the AACSB prioritizes research. Many schools with low research production, but high teaching quality, obtain ACBSP accreditation. The International Assembly for Collegiate Business Education is the youngest of the accrediting agencies, and exists largely to provide accreditation standards for smaller colleges and universities that cannot reach AACSB or ACBSP status.